This owl stitch kit comes with everything you need to complete this pattern. 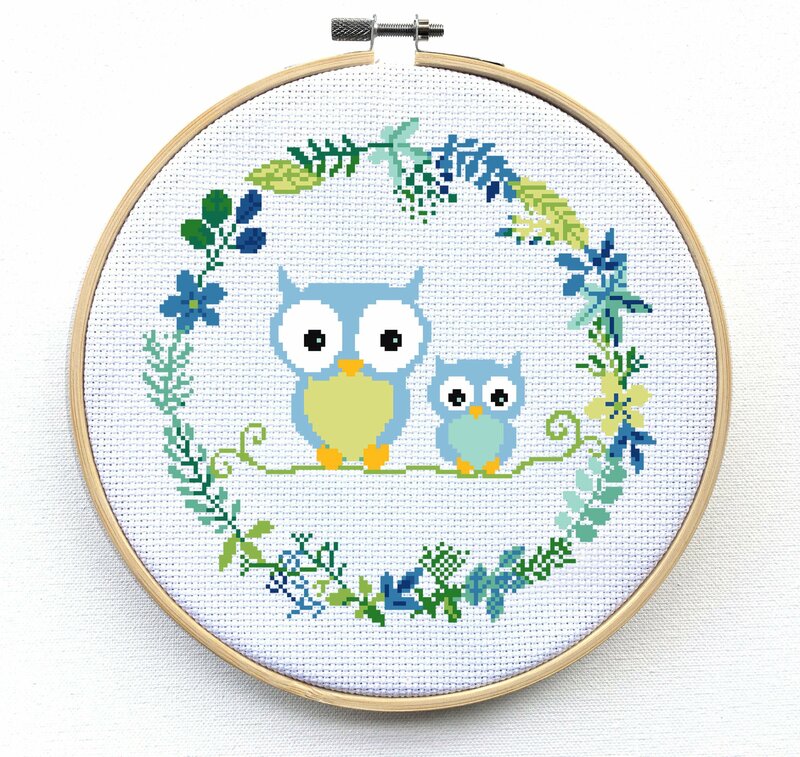 This is a super cute cross stitch pattern of a mama and baby owls in a blue and green wreath. 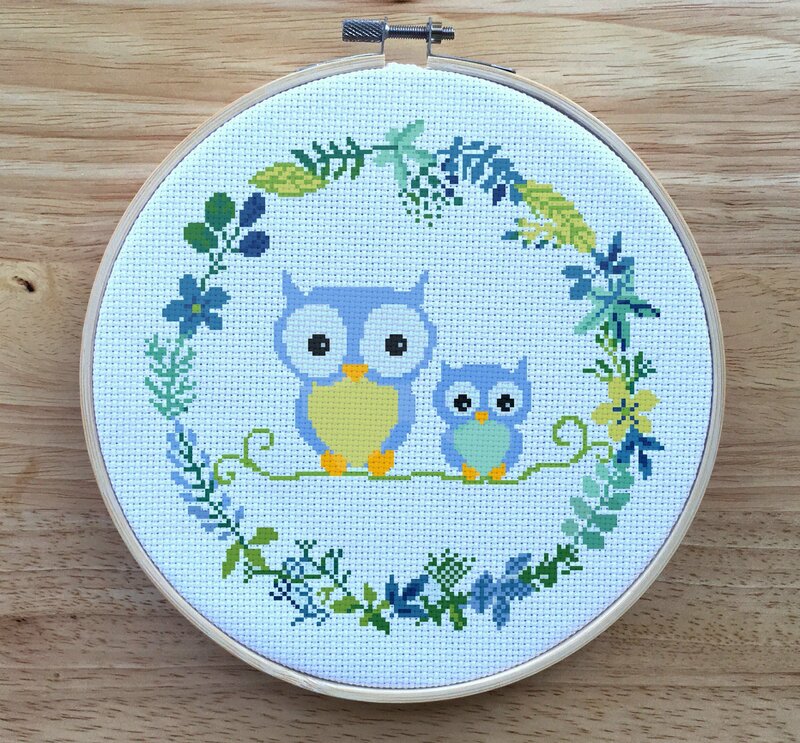 This is a lot of fun to stitch. 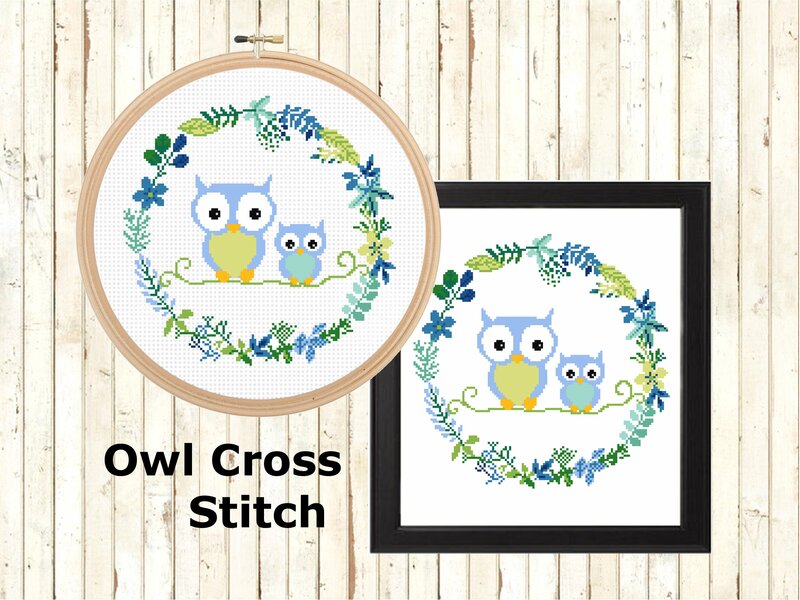 It makes for a great gift, especially for nurseries and baby gifts! 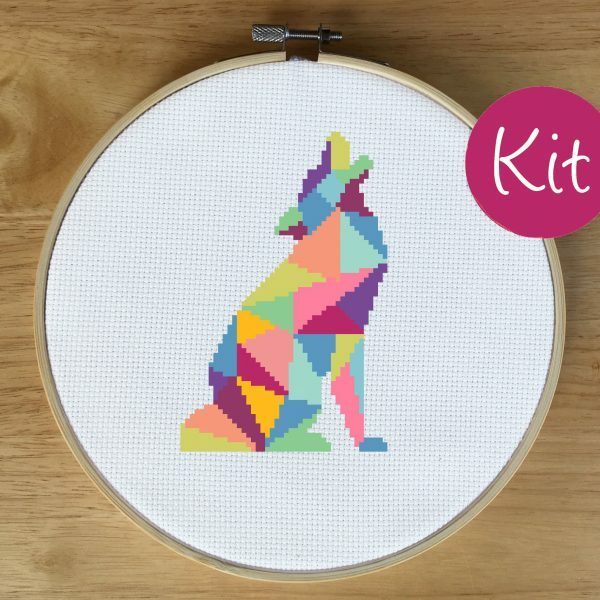 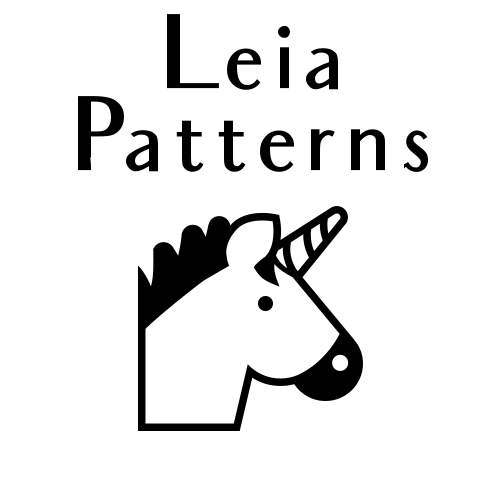 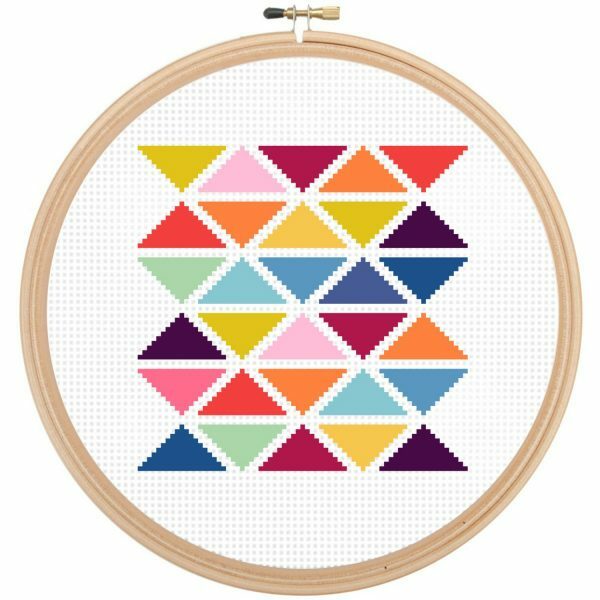 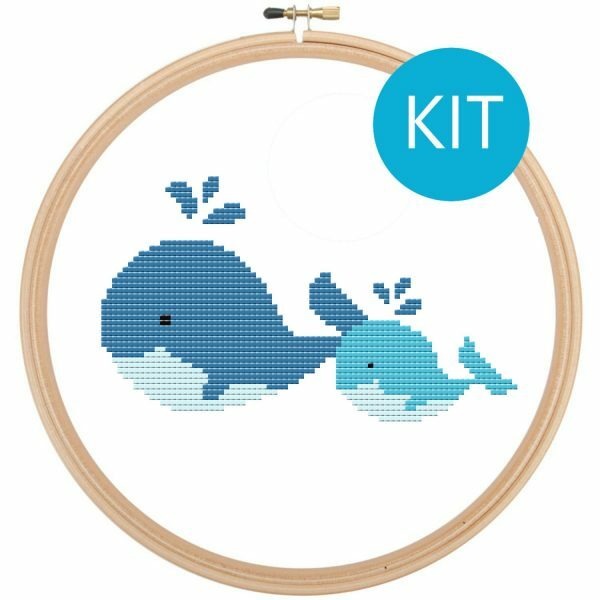 You can get the PDF cross stitch pattern here. 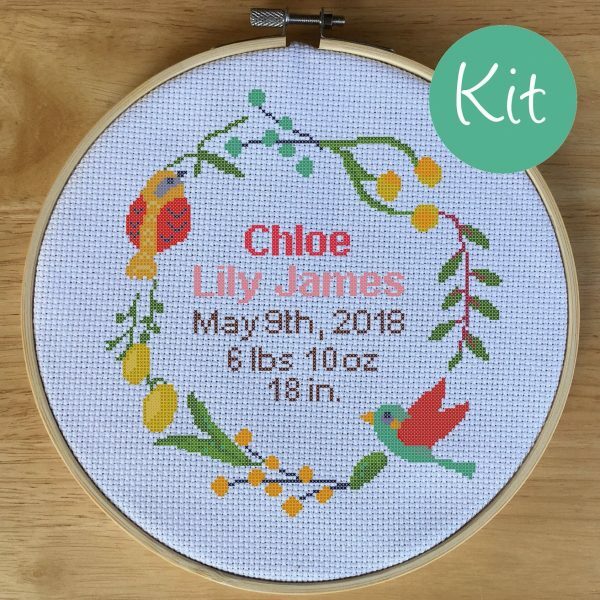 Size: 9.3 x 9.3 in.